We take an active role in your well-being. 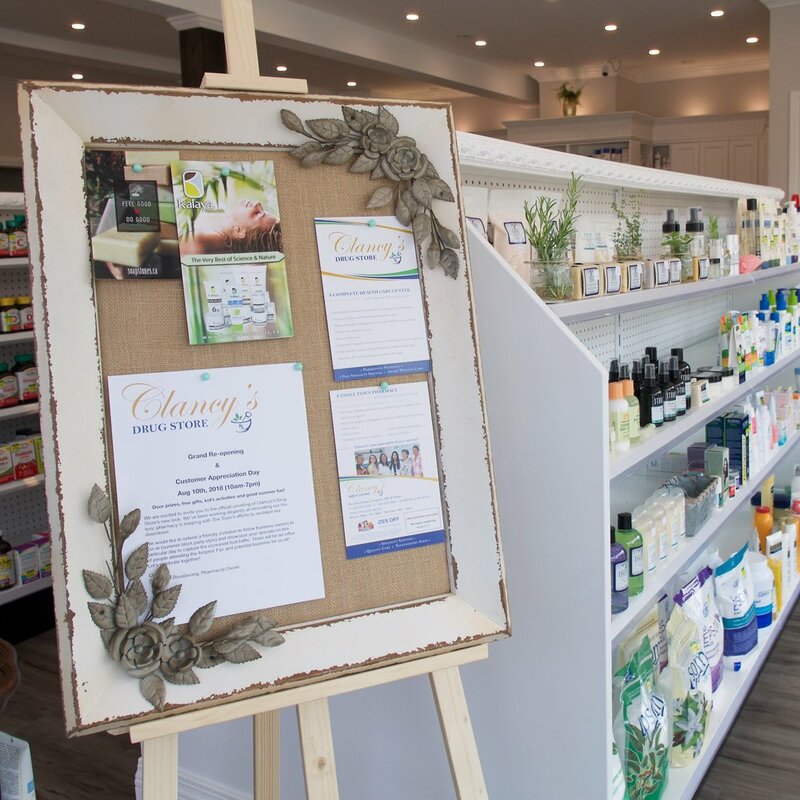 Clients are offered a wide range of pharmacist-clinical services, beyond what you might expect, even extending to expert advice on blending conventional and alternative medicines. We carry a wide array of Home Health Care products and natural health medicines. Our herbal and alternative products are selected from the most reputable suppliers. We also have a unique giftware section including boutique baby clothing and skin care products. At our full-service pharmacy, we offer a wide range of free services within the Pharmacist’s Expanded Scope of Practice including in-home consultations, vaccinations, certified smoking cessation and diabetes programs.